Bareboat yachting means that you charter a yacht independently. We hand over the yacht ready for use and you return the yacht to us at the end of your charter. As skipper you are fully responsible for the yacht and its crew. 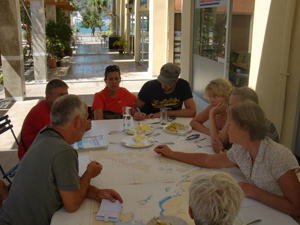 Of course you can always contact the base in Gocek by VHF or mobile phone in case of unexpected problems. With bareboating you have the freedom to make your own cruising plan and go at your own pace. Of course we can give you all kinds of tips before leaving. Every yacht has charts and a pilot book with detailed descriptions of the sailing area. 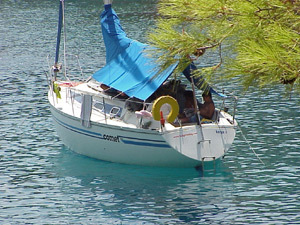 Bareboat rental is available through March 01 to November 15. The main condition of bareboat chartering is that you must have experience handling a yacht of the size you want to charter. Although we navigate mostly by the eye in this area, you should still have some experience with coastal navigation and the use of sea charts. Also you should be familiar with berthing and anchoring. If you feel insecure about your competence it is possible to join the flotilla for the first week. We could also sail with you for a day to provide you with sufficient information about the vessel and the area. The Gocek region offers a large choice of one-day itineraries for the beginner!